This building is either a new building or a replacement or rebuilding of the earlier two-storey brick structure that stood on this site. In 1907, the tenant was A. W. Simmons delicatessen. 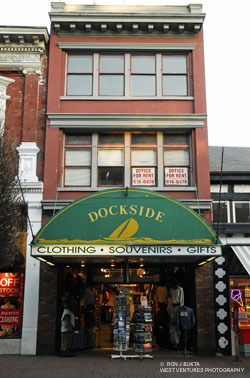 In 2009, the main floor is occupied by a souvenir store, and the upper storeys are vacant.